The Model 125 is well-suited for hunters and the chores inherent within the sport. 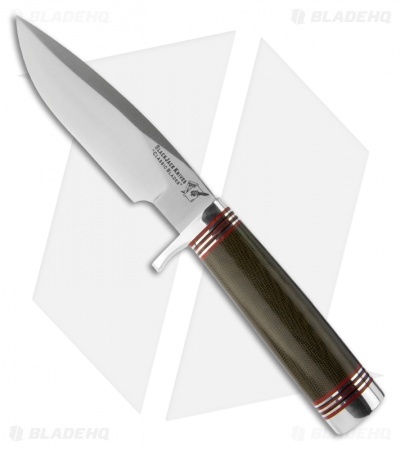 This knife is sized to handle small and large game alike. The A2 Tool steel blade is convex ground and features a finger choil for choking up and handling fine cutting needs. 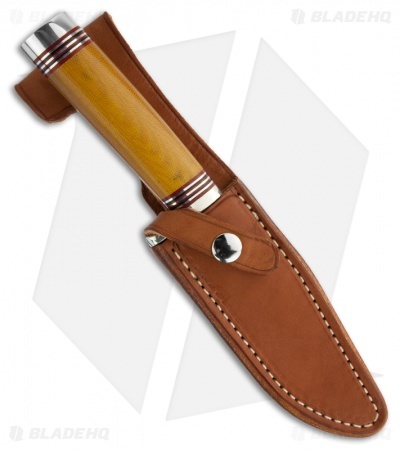 The handle has a bolster guard and pommel along with polished green Micarta. The Model 125 includes a quality leather sheath from Sharpshooter Sheath Systems.